Working in pencil can create a beautiful range of value and detail in an artwork. It can also, unfortunately, lead to a smeared mess. If the side of your hand or sleeve is collecting more graphite than your paper is, follow these tips to keep your drawing, and yourself, from becoming a mess. Draw with a range of pencils. Artist pencils range from hard-tipped Hs to soft-tipped Bs. The higher the number, the harder the graphite or lead. For example, a 7H is a very hard graphite for creating a fine line. An 8B has soft, loose graphite and will smear easily for blending. Most non-artist pencils have a hardness of HB, right in the middle of the spectrum. Use hard leads for initial sketches and save softer-leaded pencils for areas where you want to shade. 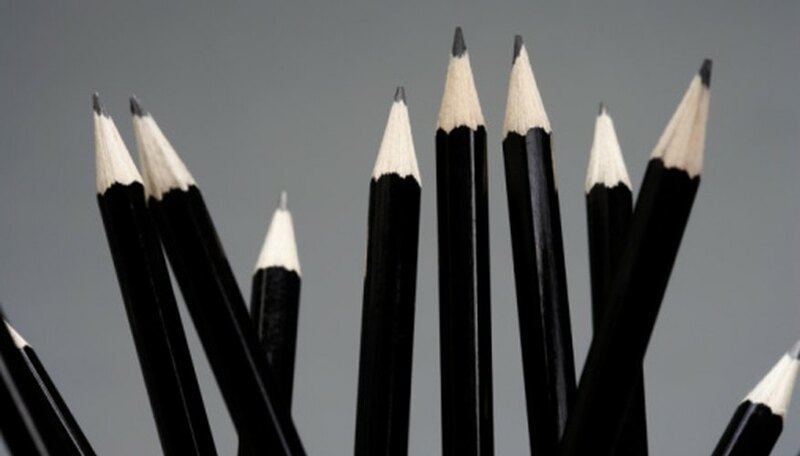 Using the right pencil for the job will reduce the amount of graphite sitting on your paper, waiting to be smeared. Learn to use a variety of erasers. Just like pencils, erasers have different qualities and are meant for certain jobs. Use a white artist-quality eraser to remove graphite cleanly without smearing. In areas where you need to soften lines but not remove them completely, a kneaded eraser works like a sponge to lift extra graphite from the paper. 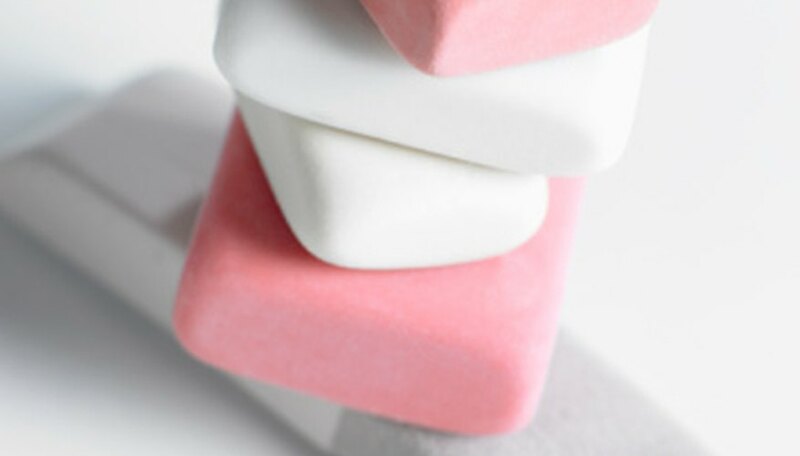 Avoid inexpensive pink erasers which may crush or stain the paper's surface. Good erasers will keep your paper neat and clean. Work on drawing paper or illustration board rather than computer or notebook paper. These surfaces are designed to keep graphite where you put it and reduce the likelihood of smearing. Spray your paper with workable fixative to keep layers of graphite in place. Unlike permanent fixative, which is designed to seal a finished artwork, workable fixative can be used while you work. It protects bottom layers from smearing but also allows you to go back into sections and rework them. Place a piece of acetate under your hand as you draw. This material is see-through and will glide across the paper's surface without smudging your work. Blend pencil lead with a tortillion or a rolled-up bit of paper instead of using your fingers. This tool will give you better control and reduce smearing. It will also keep oil deposits from your fingers off of the paper. Shade and add details from the top left of the paper to the bottom right, if you are right-handed. For left-handed artists, begin in the right corner and work toward the bottom left. This technique prevents smearing by keeping the drawing away from the heel of your hand. It may be challenging for artists who prefer to develop the drawing all at once, but is very effective for keeping the paper clean. Remove eraser particles by tilting your paper or by blowing them off. Some artists even keep a soft brush on hand for the task. Brushing the paper with the side of your hand can not only lead to smearing, but also deposits oils from your skin that may compromise the work surface. Work carefully and pay attention to when you are smearing your work. Added awareness on your part will help you train yourself out of the habit of dragging your hand. With a combination of the right tools, techniques and awareness, you'll be producing drawings that are as clean and precise as a professional's. Avoid frustration by stepping away from time to time. A good pencil drawing can be very time intensive and requires you to be at your best. Take breaks and remember to enjoy the process. Clarissa Morgan works within the field of education and has been writing freelance articles for Internet publications such as eHow and Answerbag since 2010. She received her Bachelor of Fine Arts in illustration from Moore College of Art and Design and is pursuing her Master of Education at Arcadia University.